How do you feel about cabbage? I was a Freshman at Amherst College, speaking on the phone with the mother of a host family who had invited me to dinner. Since I had never met her, I wasn’t sure if she was asking me if I liked to eat cabbage or whether she was waiting to deliver the punchline for a joke. I was able to assure her, that yes, I did indeed eat and like cabbage, and I went on to have a very lovely dinner at their home later in the week which included a wonderful cabbage soup as the part of the meal. Cabbage is one of those foods which people seem to either love or hate, like brussel sprouts. There’s something about the smell and color (regardless of which variety – green, purple, white) which tends to put some people off. Cabbage, however, is a wonderful vegetable to incorporate into one’s diet, rich in vitamins, folates, and fiber, but also extremely versatile. I’ve noticed that here in the United States people think of cabbage only in relation to cole slaw, Chinese egg rolls or corned beef and cabbage, but there are many, many ways to eat and prepare cabbage, including soups, entrees, salads, and sautes. So, I responded to the email in the affirmative: “Cabbage is lovely to serve to company.” I did, however, indicate caution: “Just make sure whomever you’re serving either likes to eat or is willing to try cabbage.” I then sent a recipe for stuffed cabbage which my family likes to eat, which I’m going to talk about below. If you’ve never had stuffed cabbage, you really ought to try it. Not only is it delicious, but you can change it up to fit whatever you actually have in your fridge. 1. 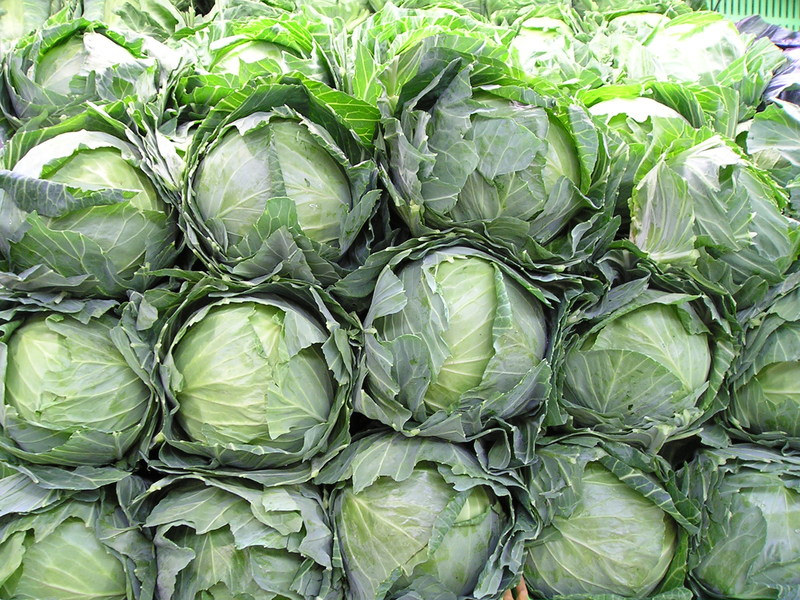 Choosing cabbage: Don’t limit yourself to just the standard green head of cabbage. Try red, Napa, Savoy, Bok choy, etc…. Napa and Savoy have milder, sweeter flavors and are a more tender leaf cabbage. Bok choy and red cabbage have slightly thicker stems and a heartier flavor. All are wonderful for stuffing. 2. Preparing the cabbage: There are a variety of ways to prepare your cabbage for stuffing. It really comes down to preference, I think. Some chefs recommend wrapping your cabbage in plastic and microwaving it in a bowl until the outer leaves are soft and pliable. I’m not so fond of the idea of cooking anything in plastic, though, and it means you have to keep removing the outer leaves and repeating the process several times to get all the leaves you want. Others recommend removing the leaves you want to cook and cooking them in boiling water until they’re soft and pliable. This method is actually fine, but I find that the leaves get a little water-logged and I have to then dry them which takes time and uses up my paper towels or adds more kitchen towels to my laundry for the week. So, the method I prefer is: I bring a pot of water to boiling. Then I core a cabbage but keep it whole and put the entire cabbage into the pot of boiling water. I boil it for six to eight minutes with the lid on and then remove the entire cabbage to a strainer to drain and cool for a few minutes. Then I’m able to simply peel off the leaves one at a time as I need them, and whatever is leftover is still intact for me to use for another recipe. One final method that people sometimes use: Wrap the cabbage tightly and freeze for a day. Defrost it. The leaves will be soft and pliable. 3. Preparing a filling: Fillings are fun. You can do whatever you want. Do you like ground meat? Only vegetables? Rice? Bread crumbs? Chicken? Ham? Sausage? Anything and everything can be a filling for stuffed cabbage. You can suit the stuffing to your taste, or like me, it simply depends on what is in the house on hand for me to use. The key thing to remember is that whatever you use should be cooked first, though. Don’t put raw ground beef or raw vegetables into the filling. Brown or cook your meats, and saute your vegetables. If you want rice, use cooked leftover rice from another meal. I’ve seen recipes which tell you to use converted rice or raw vegetables, and they really don’t cook up well in my experience. Some recipes even use raw meat, which does cook but then the juices from the raw meat run out of the cabbage into the sauce, leaving something to be desired for the texture and the taste. The second thing to keep in mind is the seasoning. How you season it will depend on what flavor you have in mind. Do you want an Italian style stuffed cabbage with ground meat? Then you’ll want to use garlic and onions and herbs like oregano and basil. Do you want an Asian style stuffed cabbage with rice? You might then prefer to use coriander and ginger. Do simply want the taste of your filling to come through? Just use some salt and pepper. 4. Preparing a sauce: Stuffed cabbage can be prepared with a variety of sauces – a tomato sauce, a sweet and sour sauce, a lemon-egg sauce, a soy sauce. The list is endless. It depends on the taste you’re going for – Asian, Greek, Italian, etc…. What you should keep in mind is that no matter what type of sauce you use, it’s always best to coat the bottom of your pan with some as well as pouring the sauce over the top. That way the flavor seeps from both sides into the cabbage rolls. I also usually use some of the sauce in the filling mixture as my moist binder. 5. Cooking the cabbage rolls: You’ll find a variety of ways to cook the cabbage rolls. You can cook them on the stove top in a single layer, but you need to make sure to watch them carefully so they don’t burn and stick to the bottom of the pan. You’ll need to keep the pot covered for even cooking. You can cook them in a slow cooker over the entire day, which is something I like to do. Just be sure to layer the rolls alternately in your layers so there are good gaps for the heat to generate around all the rolls and so the sauce can seep down between the layers. You can bake them in the oven, which I also like to do. Just be sure to cook them first covered with foil for about 45 minutes so the cabbage leaves will soften. Then remove the foil for the last little bit of cooking so your sauce will thicken a bit. 1. Bring a pot filled with enough water to cover the cabbage head to boil. 2. Core the cabbage and put the whole head into the boiling water. Cover and boil for six to eight minutes. 3. Remove the head of cabbage to a strainer and allow it to drain and cool. 4. In a food processor, puree the diced tomatoes with the tomato paste, cider vinegar and coconut sugar. Remove one cup to use in the filling. Set the rest aside. 5. Heat the olive oil in a pan over medium-low heat. Saute the vegetables with the onions, garlic, pepper, ginger, coriander, and cinnamon until they are soft and most of the water has evaporated off, about three to five minutes. 6. Put the vegetables into a bowl and mix well with the chopped ham, rice, and one cup of sweet and sour sauce. 7. Remove 18 leaves from the cabbage, and trim the thick part of the center ribs so the cabbage leaves are flatter all around. 8. Preheat the oven to 350 degrees. Put about one cup of your sweet and sour sauce on the bottom of a 9 x 13 pan. 9. Scoop 1/3 cup of the filling into each leaf. Pull the edge of the cabbage leaf that was closest to the core over the filling and wrap the sides in over the edge. Then pull the opposite edge of the leaf over the sides. Essentially you’re making an envelope for the filling. 10. Place the cabbage roll seam side down into the prepared pan. You can make three rows of six in a 9 x 13 pan. 11. When all 18 cabbage rolls are completed, cover the rolls with the remaining sauce and cover the pan tightly with foil. 12. Bake the rolls in the oven for 45 minutes. Remove the foil, and finish cooking for another 15 minutes.